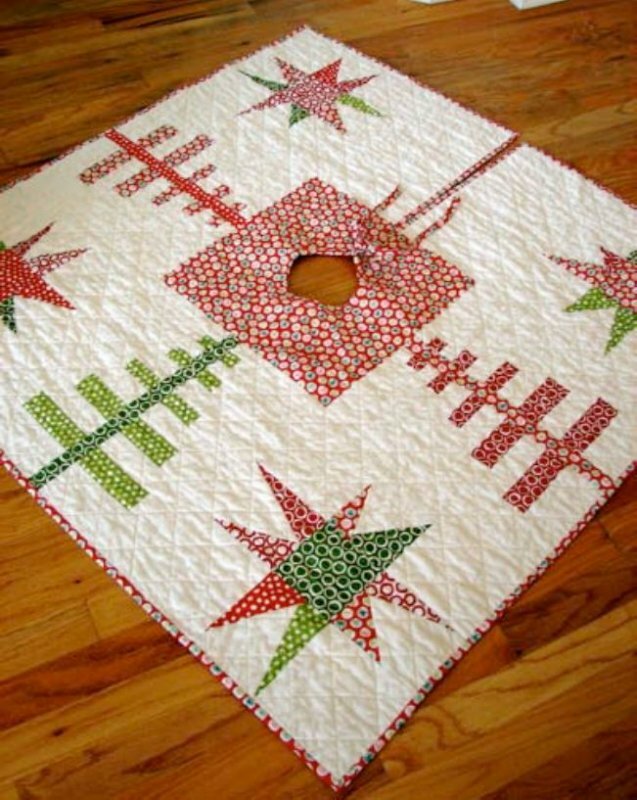 "This is the Starry Forest Christmas tree skirt. The front is a combination of mod tree blocks and extended maverick stars. 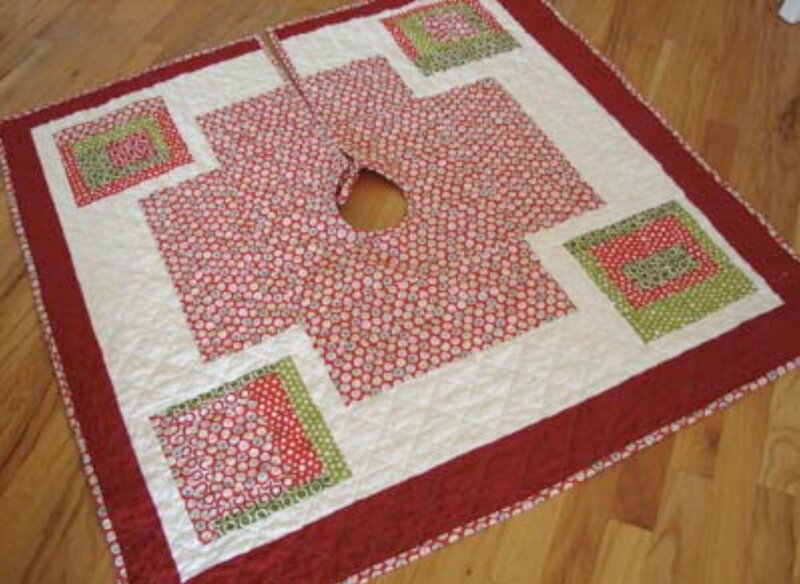 The tree skirt is quilted and bound to give it texture and structure when it wraps around your Christmas tree." Give your presents a cozy quilt to nestle on this Christmas! Visit Sew Mama Sew for fabric and patterns!